Bring some spring to your desk. The colorful way to get—and keep—it all together. Modular trays are designed to mix + match for a custom system. 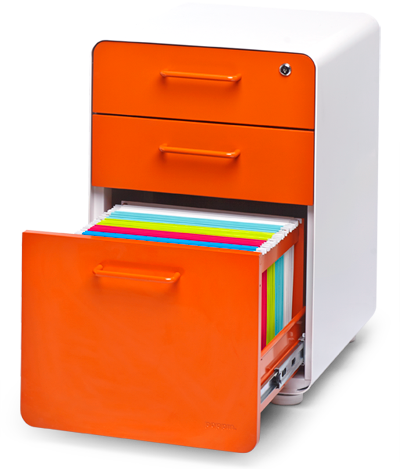 Bright file cabinets and desk systems make filing, well, kinda fun. Get clutter out of sight and out of mind with attractive storage solutions. 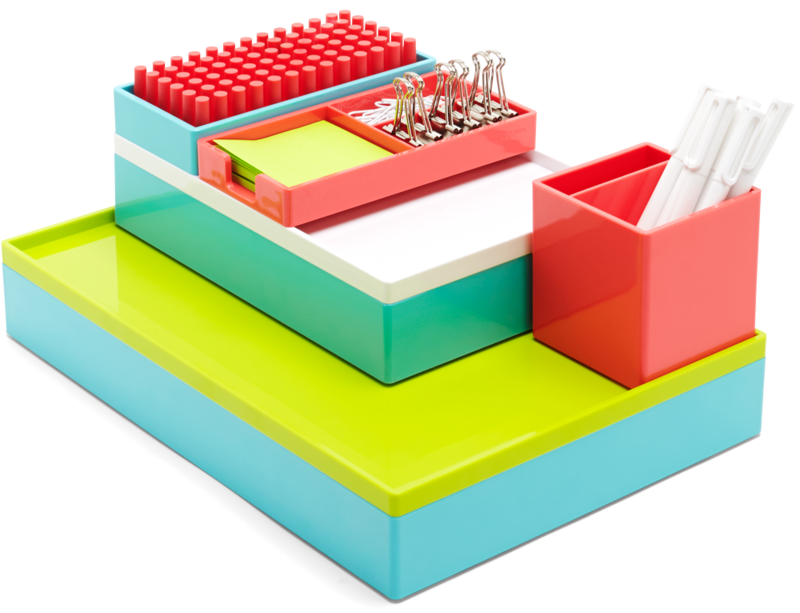 Mix + match our modular trays to achieve total organizational bliss. From the kitchen to the bedroom, we've got a way to organize everything. 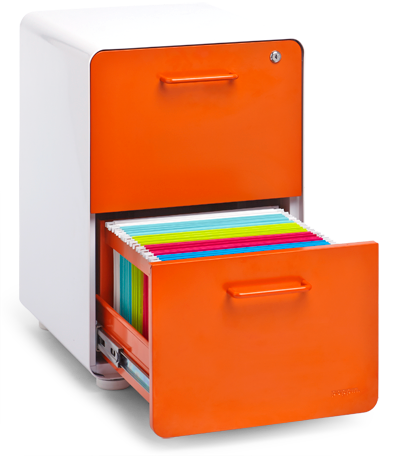 Our best selling Stow File Cabinet is available in 12 office-brightening colors. On the desktop or in your drawers, it's a snap to get your docs in a row. Our durable storage boxes offer organizational solutions for your home and office. Our Mini Stow File Cabinet is half seat, half storage, and all awesome.